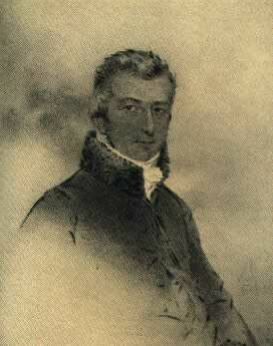 Lewis Way was born in Buckinghamshire in 1772. He was educated at Eton College and graduated with an M.A. from Merton College, Oxford in 1798 after which he was called to the Bar. While working as a barrister in chambers in the Inner Temple, John Way, who was not at all related, called upon him. They got on very well. John Way was retired at this stage and very wealthy. Both men were avid bible readers and devout Christians. Lewis Way had long wanted to become a clergyman and an inheritance from John Way enabled him to do this. The inheritance also helped Lewis marry Mary Drewe in 1801. Mary was very wealthy in her own right. They had six children. Lewis Way became a Church of England priest in 1817. Evangelical clergymen, such as Charles Simeon of King’s College, Cambridge and the Clapham Sect, including the abolitionist William Wilberforce, influenced him from an early age. Lewis devoted his fortune and time to religious works, in particular to the London Society for Promoting Christianity amongst the Jews. In 1805 Lewis bought Stansted Park, a magnificent stately home in West Sussex. While out riding in 1811 he came across an extraordinary building, A La Ronde, in Devon. It was while there that Lewis decided that the best way to spend his inheritance was to use it for the conversion and restoration of the Jews. Lewis commissioned a special carriage and set out on a trip to investigate Jewish communities in Netherlands, Germany, Poland and Russia. On reaching Moscow he had four audiences with Tsar Alexander I. In these meeting it would appear that the restoration of the Jews to the Holy Land was discussed. In 1818, at the invitation of Tsar Alexander, Lewis Way addressed the European Congress at Aix-La-Chapelle. This was the high point of his career at which he clearly stated his mission before the leading monarchs of Europe. In 1823 Lewis set out to meet Lady Hester Stanhope at her home on Mount Lebanon and to see the Holy Land. While staying with Lady Hester, he was struck down with a dangerous fever and had to return to Italy, where his family were staying. Lewis recovered and went on to Nice. 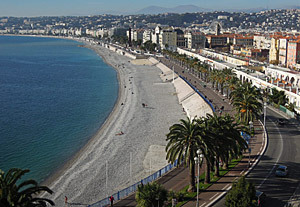 There he donated a large sum of money to build the Promenade de Anglais, which can be enjoyed to this day. This was to provide work for an influx of beggars from the North escaping a harsh winter. From there he went to Paris and established the English Anglican Chapel. After a number of years in France Lewis returned to England with the idea of establishing a Hebrew college to train missionaries to the Jews. However he became ill and came to seek the help of Dr. Henry Jephson and Dr. Amos Middleton in Leamington. However on the 28th of November 1833, both doctors signed Lewis Way into the new Barford Asylum. He was one of the first residents. In the Register for Insane Persons he is described as aged 62, married and living in Leamington. The Way family purchased a house at 20 Portland Place in Leamington and daughter Drusilla lived there for many years. At any one time during the 1830s there were about 8 residents in the Barford Asylum from all over the country and of all ages. Lewis Way remained in Barford until his death on the 23rd January 1840. He is buried in Leamington Spa and there is a memorial to him, in Latin, in All Saints Church. Lewis Way left an enormous legacy that started in Britain but took root with the American religious right. His dream of the restoration of the Jews to the Holy Land did happen after the Second World War but his dream of a mass conversion of the Jews seems as far off as ever. He was an amazing man. ‘But neither the service of Lewis Way, nor his character, were appreciated as they ought to have been, even by his own countrymen, his fine spirit was chaffed by the indifference and ingratitude of common men, and at last by the dear man died – broken hearted! Joseph Wolff. Geoffrey and Carole Henderson, Geoff has recently published a biography of Lewis Way.